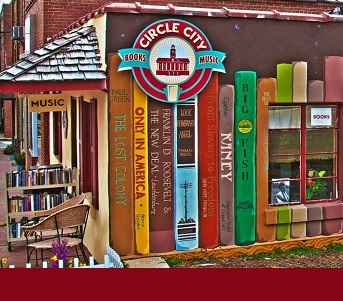 Circle City Books & Music buys and sells used, rare and unusual books, records and CDs. On its side wall the owners had a rich celebration of books by North Carolina authors painted in a mural. A charming little shop with its own unique selection of books, very knowledgeable staff. A place to browse, reflect, remember and be inspired.